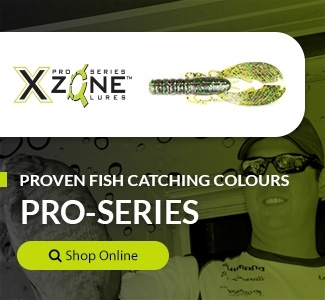 X Zone Lures hand pour has a lot to do with my success, as it shines on the swim bait , and it mimicks what the fish are foraging for. My favorite colors are the Slammers 210 smoke with purple and the 309 green pumpkin. The key is to not overdue it, with presentation. With respect to the Swammer,I prefer the open hook jig, revenge XL hook 3/8, and a belly weight.